So the film shooting was already started ? Thanks @immorethant . This and the other posts you found are by the cameraman, I think. He wishes he were 3cm taller and 10 years younger - LoL, he must be crushing on oori-baby badly - I hope she reads his post ! The location (as I have alluded to earlier on SHS thread p88 and p85) is 보령 (Bo-Ryong), in the 충청남도 (Choong-Chung-Nam-Do) province. Probable location where the heroine, Jung-In,-grew up and where her mom still lives. She probably came back from Seoul to the country-side after finding out her mom's a murder suspect. Another shooting location was also disclosed some time back. The poster says this is Sam-Jeon village (Samjeon-dong, Songpa-gu, Seoul, South Korea) not too far from the tallest building in SK. Just for grins, here's the street view of the actual location (서울 송파구 삼전로10길 13) on that IG post. LoL. From the Google translation, I understand that the brother of 신혜선 is casted . Thank you @Ni Wen you are busy and I'm a step behind you all day! Good! Let's give this rookie one more exposure. He's got good little bro visualz. I updated the top page with couple cast member and role names, including this Hong Kyung fellow and his Jung-Soo role. He's a devoted son, in contrast to Jung-In, who left her house and mom long ago. So this IG post from couple of days ago says the filming is going on near Bo-Ryeong (mentioned as location on top post page 1), in another village called Chung-Yang (청양). The poster says "lots of celebrity cars, but too shy to ask for autographs." Says when asked, SHS wasn't around, but others like Park Chul-Min were there near the local hardware store. That's all folks. @meechuttso relaying some fan anecdotes. where you can catch small fish which they deep fry in a batter for you, eat chestnuts you roast yourself, and eat sweet potatoes baked in special ovens. Looks fun to do in cold weather. Hola Fans. Someone posted this from the set of "Innocent" to SHS fanclub. 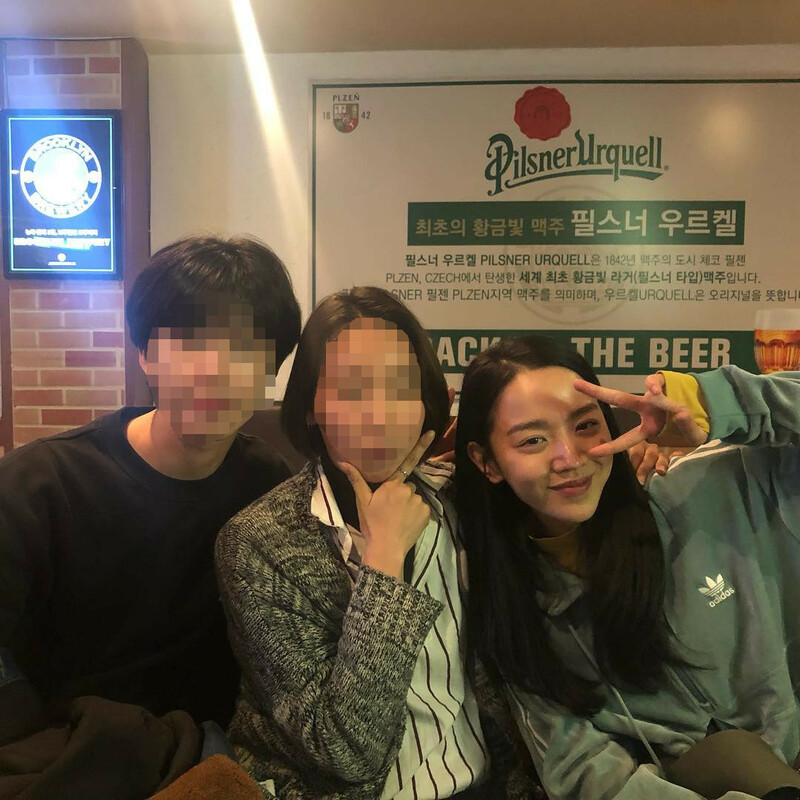 Bae Jong-Ok looks so happy here, and Shin Hye-Sun, I didn't recognize her at first as the actress - I thought someone had dug up her old middle school pics. Love it! And I don't know if this obvious group pic was taken at the beginning or the end of the shooting, but I hope they're wrapping it up! 영화 [결백] 배우, 스탭분들 끝까지 힘내세요! 화아팅! To actors and staffs of 'Innocent' movie, keep doing your best till the end ! Fighting ! From Bae Jong Ok fans. At first I think the shooting is already done, but I found this news that there will be traffic control at Cheongju Miwon area near Yongkok reservoir for 'Innocent' shooting today (Feb 28, 2019). The news also mentioned that film is scheduled to be premiered this fall. 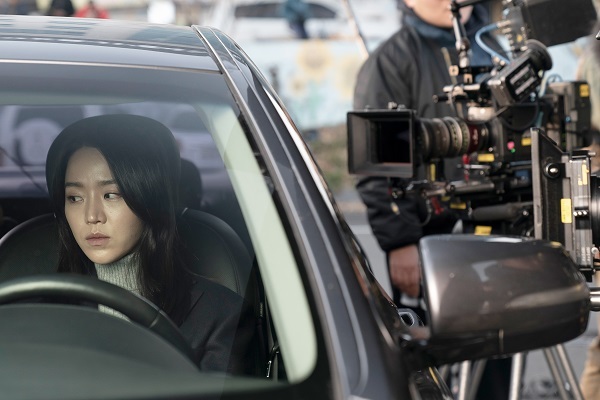 The section where traffic is controlled by shooting film "Innocent", which is the supporting work of Cheongju Film Commission, is located at 88-1, Jongam-ri, Miwon-myeon, where the Yongkok reservoir is located, and 403 at Miwon-cho. The movie "Innocent", scheduled to open this fall, is a story about a mother who can not recognize a person due to dementia and is identified as a suspect in the case of a poisonous murder case.. This film is starring actress Shin Hye Sun's first screen, which has attracted attention with her strong acting power and audience rating queen in various dramas. 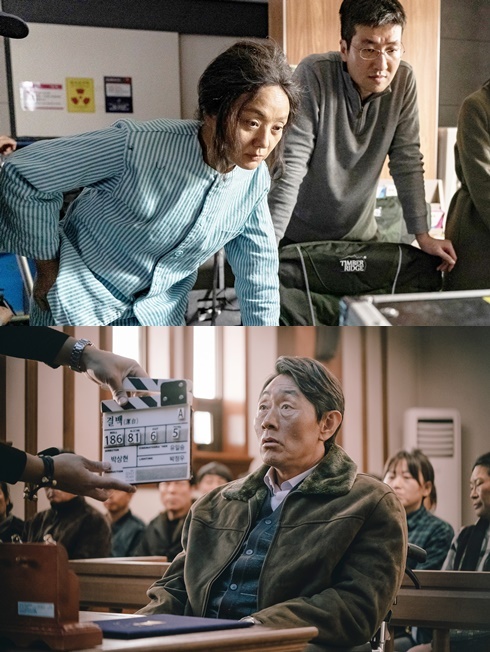 Actor Bae Jong-ok is cast in the suspected speaker 's role as a mother of Jeong-in and suffering from dementia, and the expectation of two actors' acting is rising. The director and crew of the movie 'Innocent' said, "I hope you will also enjoy the scenery of Cheongju in the movie." "I will put my top priority in this part of traffic control shooting to minimize the safety and inconvenience of citizens." I think this is from 'Innocent' staffs , they took photos together from today's shooting at Yongkok reservoir. I think he is Hong Kyung, the one who played as SHS's brother in the movie, right ? 'Great actresses gathering' Shin Hye-Sun x Bae Jong-ok, Movie 'Innocent' cranked up. Shin Hye-sun said, "I've been shooting almost every day for three months, and it seems like time has passed really fast. I've been working really hard and I want to be able to communicate a lot to the audience." Bae Jong-ok said, "I feel heartache to leave all the actors and staffs which we worked so passionately together. I was so anticipated and curious to know how good piece of work it will turn out to be." Huh Jun-ho said, "I am very grateful to the 'innocent' team, and I think I have met a piece of gem among myriad works." 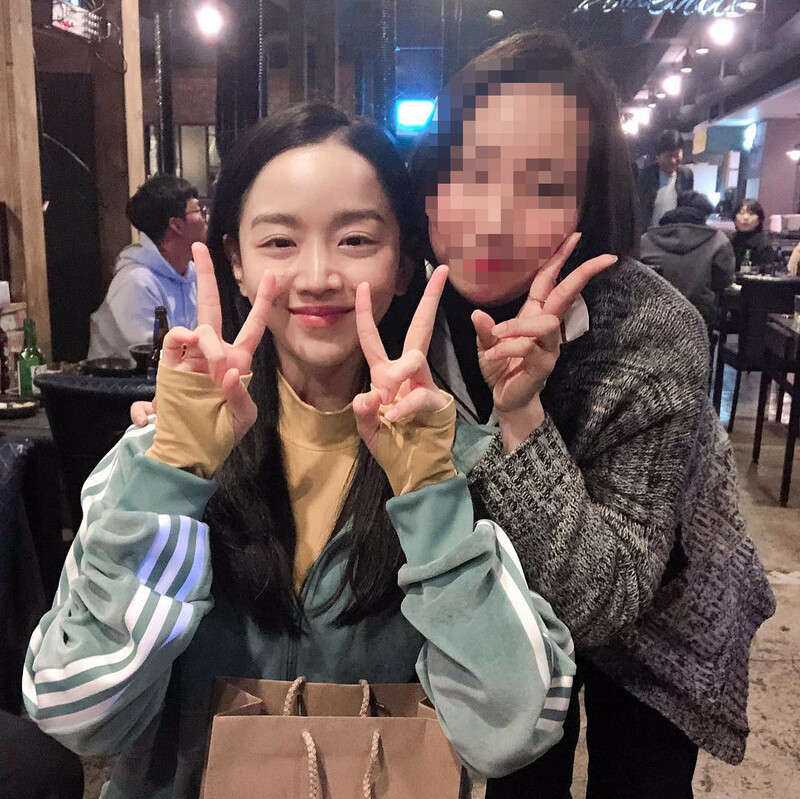 Hong Kyung, who acted as the younger sister of Shin Hye-Sun, said, "I had a lot of worries about acting, I was honored to learn a lot while working with various staff members. " Lastly, director Park Sang-hyun, who directed the film, said, "I shot in the cold weather and all actors and staffs suffered so much. I was happy to work with the best actors and staffs, I will do my best to finish it with a good work. "